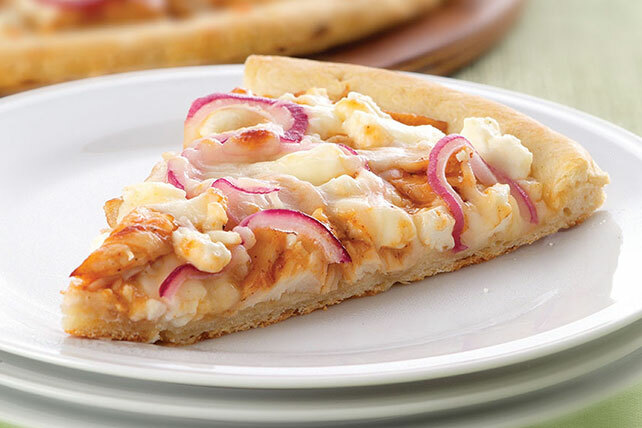 Use our BBQ chicken pizza recipe to make a tasty Feta-BBQ Chicken Pizza to serve tonight! This BBQ chicken pizza recipe only takes 22 minutes to complete. This flavorful pizza goes well with a crisp mixed green side salad topped with your favorite KRAFT Light Dressing. Sprinkle with 2 Tbsp. chopped fresh cilantro just before serving.